Do you use the internet to shop? Do you shop on popoular shopping internet sites such as amazon.com, game.com or play.com? 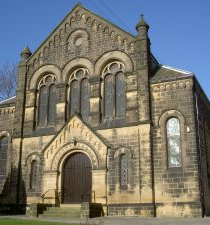 Baildon Methodist Church now has an easyfundraising.org.uk web-page. easyfundraising is an easy way to raise funds for the Church. You shop online with your favourite stores and you raise money at the same time. It’s that easy. They work with thousands of well known retailers including Boden, M&S, Argos, Vodafone and many more. Their retailers love supporting good causes and will donate a percentage of your spend to the Church when you shop with them through the easyfundraising site. Take out a new mobile contract with Vodafone and raise up to £45.00! What’s more, they work closely with our retailers to find voucher codes and discounts so you can save money on your shopping too. And with their Find & Remind tool, they’ll even tell you when you start to shop with an easyfundraising retailer, no matter where you are on the web. Which means your cause will never miss out on a donation from their retailers. Will my shopping cost me more? Absolutely not. You pay exactly the same price exactly as you would if you visited each retailer’s website directly. How much can I raise? Donations vary between retailers but an average donation is 5% of your spend. Some insurance and mobile retailers pay a substantial one-off donation of up to £50. The donation amount is shown directly next to each retailer listing and your cause will receive 100% of the donation shown. For example, if the donation shown is 2.5%, your cause will receive 2.5p for every £1 you spend. Am I buying from the retailer or easyfundraising? You still deal directly with each retailer. We simply record your visit to their website and reward your selected cause when you make a purchases. What’s the catch? Is it for real? There’s no catch. We’ve raised millions for good causes across the UK and we’re a member of the Institute of Fundraising. We know it’s important for you to have complete confidence in us so if you have any questions, please do get in touch or see what our members say about us.